Dr. Pitcairn graduated from the veterinary school at the University of California, Davis, in 1965. Entering private practice in Southern California, he worked with small animals, farm livestock and zoo animals. In 1967, he accepted a position at Washington State University, Pullman, Washington, as Assistant Professor, later entering graduate school with a major in microbiology and immunology, and a minor in biochemistry. He completed his PhD in microbiology in 1972, and subsequently worked as a faculty member at WSU, active in research and teaching in the veterinary school. During his research on the factors affecting natural resistance to disease, the importance of optimal nutrition became a focus in his work. Realizing that such research would not be funded, he re-entered private practice to apply his study of nutrition and its effects on immunity and, thus, resistance to disease. During these years of clinical work, Dr. Pitcairn, along with his wife, Susan, published the first edition of Dr. Pitcairn's Complete Guide To Natural Health For Dogs and Cats (1982). This book is now in its fourth edition and has sold over 500,000 copies, and been translated into several languages. A further development in Dr. Pitcairn’s education was the study of homeopathic medicine for animal application. Although nutrition is very important, there are urgent situations for which nutritional therapy is not practical; as well, some patients simply will not eat as a part of their disease picture. Homeopathy is a natural system of medicine that stimulates the immune system and natural resistance to disease and, from 1978, Dr. Pitcairn focused on learning and applying this system to use along with his prior knowledge of nutritional therapy. The primary sources of study were Hahnemann and Kent, but also Jahr, Nash, Clarke, Boericke, Wright-Hubbard, Dorothy Shepherd, Dunham, Farrington, Schmidt, Boenninghausen, H. C. Allen, T. F. Allen, Hering, Barthel, Burnett, Blackie, Blackwood, Boger, Borland, Close, Cooper, Cowperthwaite, Dudgeon, Gross, Lippe, Phatak, Schuessler, Tyler and, of the more contemporary homeopaths, Vithoulkas and André Saine. His favorites are Hahnemann and Kent above all, then Boger, Boenninghausen, Lippe, and Jahr. In 1985, Dr. Pitcairn moved to Eugene, Oregon to establish a practice devoted solely to the use of homeopathy and nutritional therapy. From this time forward, several workshops on homeopathic medicine were offered to the public and, in 1992, the Professional Course in Veterinary Homeopathy was established, a year-long post-graduate training for veterinarians in the use of homeopathy in their practices. As of 2016, over 500 veterinarians have been trained in this program offered by the Pitcairn Institute of Veterinary Homeopathy. In 1995, Dr. Pitcairn and associates co-founded The Academy of Veterinary Homeopathy, the first professional organization of practicing veterinary homeopaths in the United States. More recently, Dr. Pitcairn, in association with Wendy Jensen DVM, has developed the New World Veterinary Repertory, which is available in computer and book form (English and German). This repertory is the first if its kind, and is the major reference work that veterinary homeopathic practitioners use in their work with patients, focused specifically on veterinary practice. For more information on the New World Veterinary Repertory, click here. 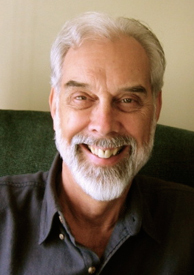 Now retired from active practice, Dr. Pitcairn consults with homeopathic veterinarians, and continues to be active in teaching and writing in the area of homeopathic medicine and healing of disease.